Number 5 Type Collection: Poll: Would you rather have Mantle or Wagner? I swapped a few messages with Cardboard Icons today about the pursuit of a playing-era card for the Hall of Fame's first class of inductees: Walter Johnson, Babe Ruth, Ty Cobb, Christy Mathewson, and Honus Wagner. 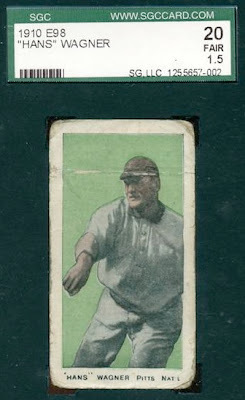 He's got a type card for all but the Wagner, which proves elusive given the Mona Lisa status of Honus's T206. 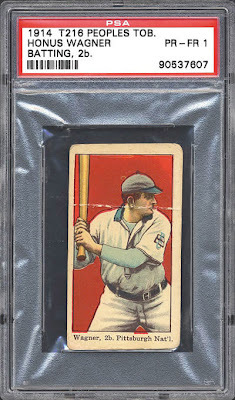 Our chat made me wonder: would collectors rather have an early Wagner (other than T206) or one of the Mantle rookies? It takes more than a grand to land a low-grade, authenticated tobacco Wagner or Mantle RC, so it's not a decision made lightly. 1908 E98 Anonymous "Set of 30"
FINAL RESULTS: 1952 Topps Mantle gets 50% of the vote, with the other voters split evenly between the 1951 Bowman and two Wagners. 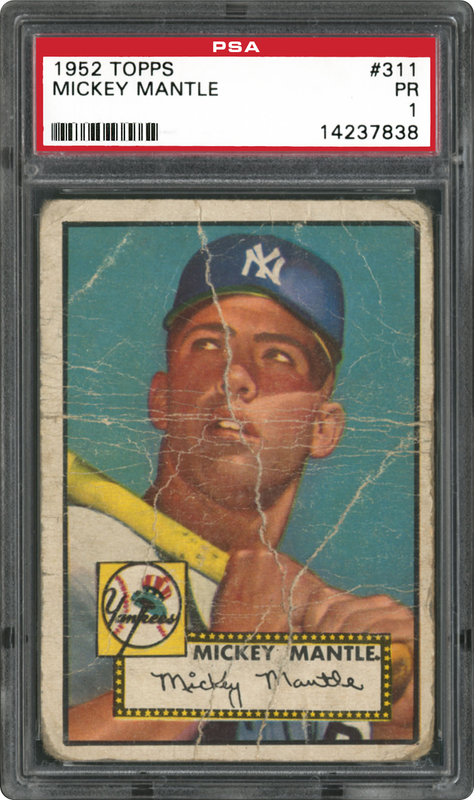 1952 Topps, still the collector favorite! Thanks for voting, everyone. 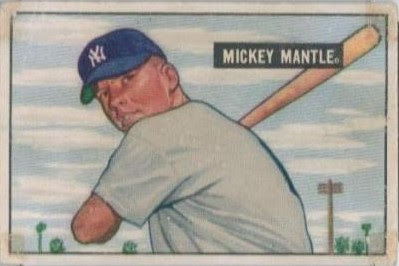 The 52 Mantle is such an iconic card. Even Yankee haters would love to have one. Given the choice, I'd take the Wagner. Mantles are much more plentiful. I'd have to go with the 1914 Wagner. The unbuttoned shirt says, "I'm here to play the game." I'm a casual Yankee hater and I don't care much for Mr. Mantle. Going Wagner was an easy choice for me. Wagner is the easy choice. There are tons of Mantles out there. The price is over inflated by Yankee lovers not from scarcity. I'll never be able to afford any of these... but if I won a contest and had my choice, I'd go with the 1952 Topps Mantle. Gotta agree with Jeff... it's an iconic piece of cardboard. The 1952 Mantle takes the trophy! Half of the poll's voters picked it, with remaining numbers split evenly across the other three. My collector doubts are put to rest (even if the Bowman's my first choice :-).